Normally, I'm the show's tech analyst, and I usually contribute nerdy insights on what Apple, Google and others are up to, and why it matters to folks like us. It's a role I relish. 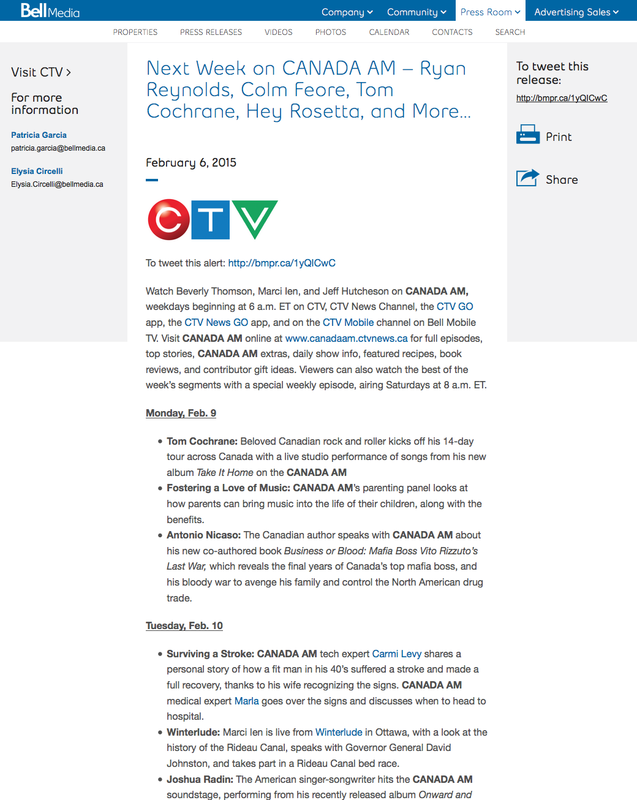 Tuesday's segment, which goes live at 7:45 a.m. Eastern, will be a little different: Here in Canada, it's Heart Month. And in the wake of my stroke a little while back - head here for more background - I wanted to share some details of my experience in the hope that it'll raise awareness and hopefully help others. After I got home from the hospital, I was thankful to be inundated with well-wishes from more people than I can count. But there was a bit of a dark side, too. I heard so many stories from people who had either had strokes themselves, or knew someone who had. And one experience kept coming up: Folks who should have gotten help, but didn't, because strokes happened to other people, because everyone gets headaches, because they didn't want to worry anyone or waste anyone's time, because they couldn't be bothered, because they'd just shake it off and go back to life. A typical example: A friend of mine said her husband downplayed his symptoms for days, ignoring her pleas to get checked out in a hospital. Five days later, he finally relented, but by then it was too late. He suffered permanent disabilities because he was not treated in a timely manner. I eventually lost count of how many people shared experiences like this with me. People dying or living compromised lives because "it couldn't happen to them." Well, it can and it does. And their experiences frightened me beyond words. I'm no medical professional, and I don't even play one on TV. But I've learned quite a bit about strokes since this happened to me. And when it comes to strokes, timing is everything. From the initial onset of symptoms, you essentially have a four-ish-hour window to seek treatment. Hit that window and your chances of full recovery are relatively good. Miss that window, however, and your chances of nasty long-term impact - or worse, death - skyrockets. Brain cells are precious, and the numbers don't lie. If it happened to me, then it can happen to anyone. And awareness of the symptoms, and what you must do next, might not only save your life, but can also ensure the life that you have afterward remains viable and balanced. My wife recognized what was going on, and did everything she needed to do to get me to the hospital and keep me within that magical window (I know, there are no words to ever adequately thank her.) If our story becomes a template for others to follow, then this entire experience will have been worth it. Canada AM's medical expert, Dr. Marla Shapiro, will be on-air to share her insight, and I can't wait to share this story with her and with Canada AM's viewers across the country. Yes, I'm nervous, and yes, I feel more than a little out of my element. But I've never felt more convinced that this is what I need to do. Not a moment goes by when I don't feel incredibly lucky to have been given the chance to continue with my beyond-charmed life, to continue working at this level, to continue pinching myself that I still have all that I have. On Tuesday, I hope you'll come along for this next chapter in a journey my family and I never imagined taking. If I seem thankful for the opportunity, that's because I truly am. Thanks for being brave enough to do this. Your youth and your health may wake others up and may make a difference in others lives. Good luck with your TV appearance. It is a great way to help people. I have a good friend who had a stroke in his early 40's--he had a congenital heart condition that required surgery and long term anticoagulation which led to bleeding. Fortunately he recovered well but it is a scary thing. Be well!